Observation - Black Arches - UK and Ireland. Description: A groupof very small caterpillars on the trunk of a large oak tree, possible in the process of moulting. 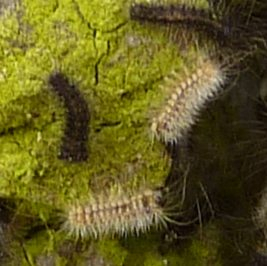 A groupof very small caterpillars on the trunk of a large oak tree, possible in the process of moulting.